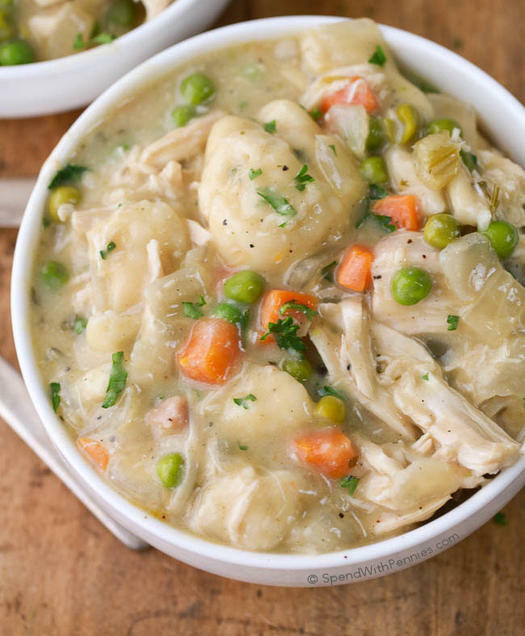 Come home to dinner all ready to eat with these crockpot chicken recipes. At only 300 calories per bowl, this soup recipe is the perfect one to try when getting back to healthy eating. 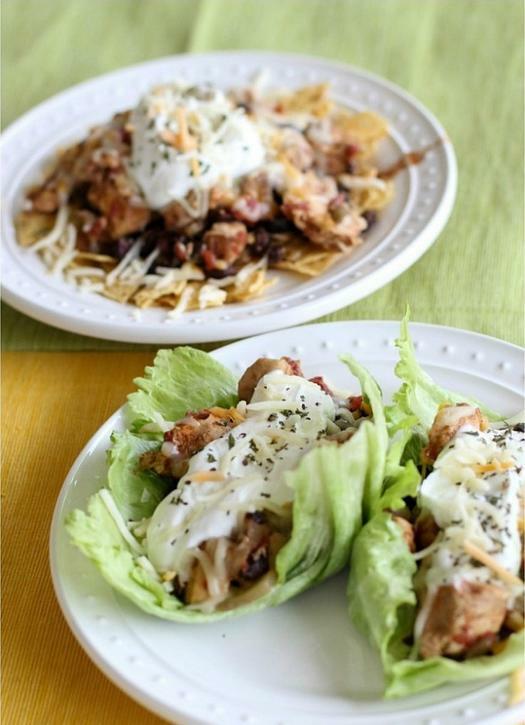 Kidney beans, black beans, and chicken have fiber and protein to keep you full, while the taco seasoning adds flavor. There are fewer dishes to wash with this recipe; the entire meal cooks in the slow cooker. 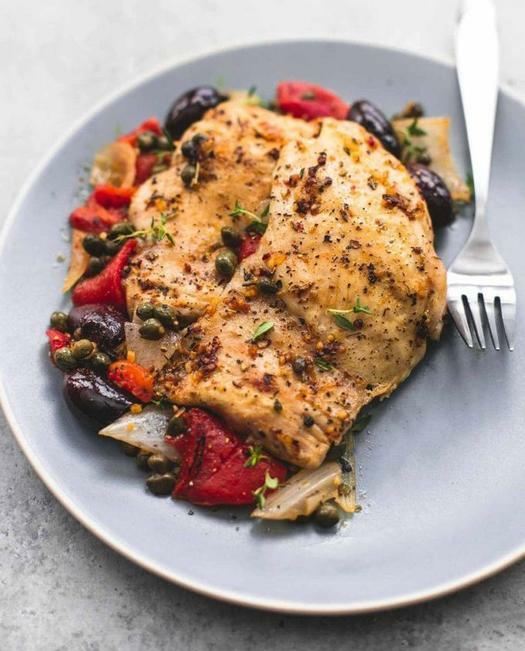 Chop an onion and roasted red peppers, then toss in with the chicken, olives, and seasonings before cooking on low for four hours. It doesn’t get any easier than this six-ingredient orange chicken. 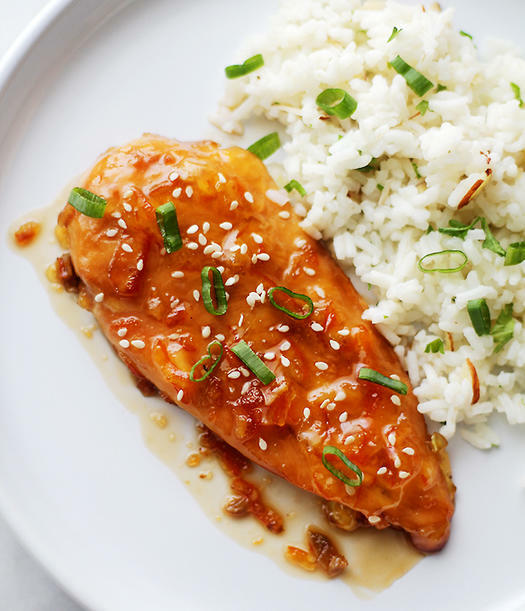 Orange preserves and ginger add bold flavor to the chicken breasts. 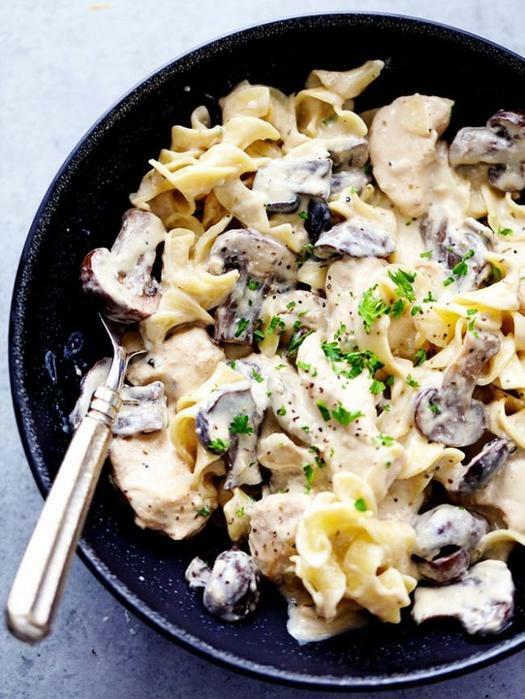 Traditionally, stroganoff is made with beef, but chicken has less fat and 38 grams of protein per cup. Cream cheese, cream of chicken soup, and onion soup mix make the delicious sauce for this dish. 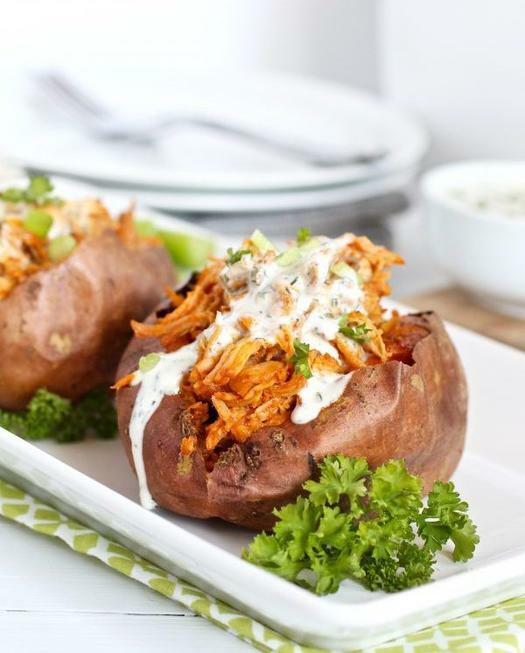 Baked potatoes are an easy meal but sweet potatoes offer more nutritional value. Top them with shredded buffalo chicken and serve with a side of vegetables to round out the meal. 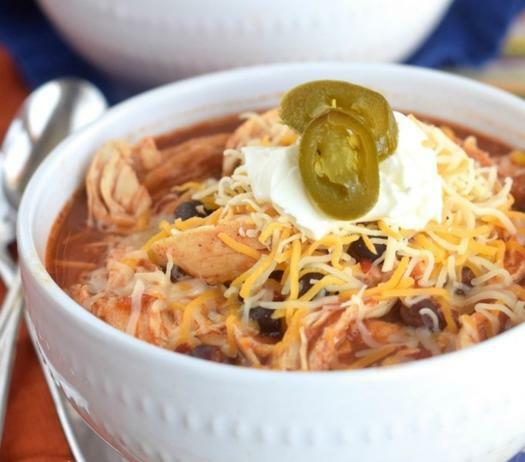 It doesn’t get better than coming home to one of these crockpot chicken recipes on a cold, winter day. 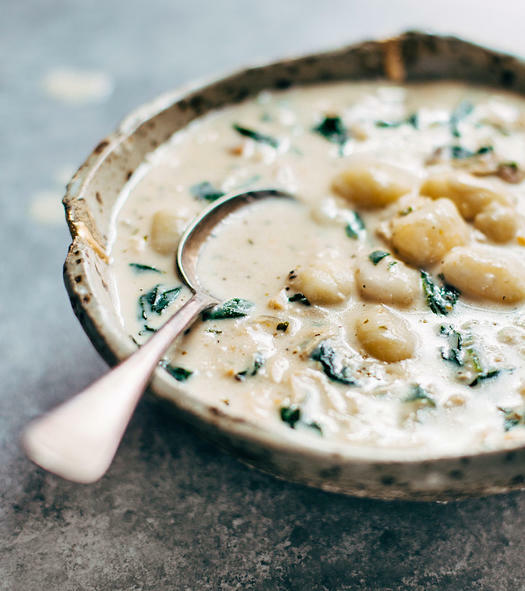 Basil, gnocchi, bacon, and spinach give an Italian twist to chicken noodle soup. 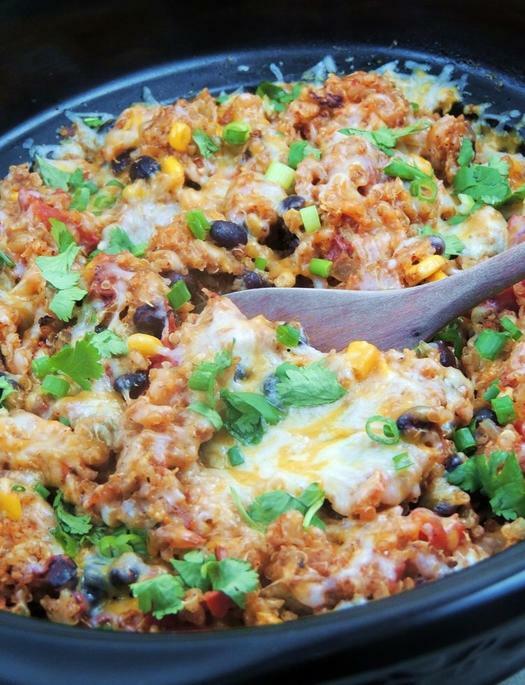 Quinoa, chicken, and black beans are the trifecta of protein and fiber to keep you full long after dinner is over. Fire-roasted tomatoes, enchilada sauce, chili pepper, and cumin add the Mexican flavor you crave in a low-calorie sauce. This recipe is the ultimate in comfort food. Garlic, onion, carrots, celery, chicken stock, and chicken cook to form the base. 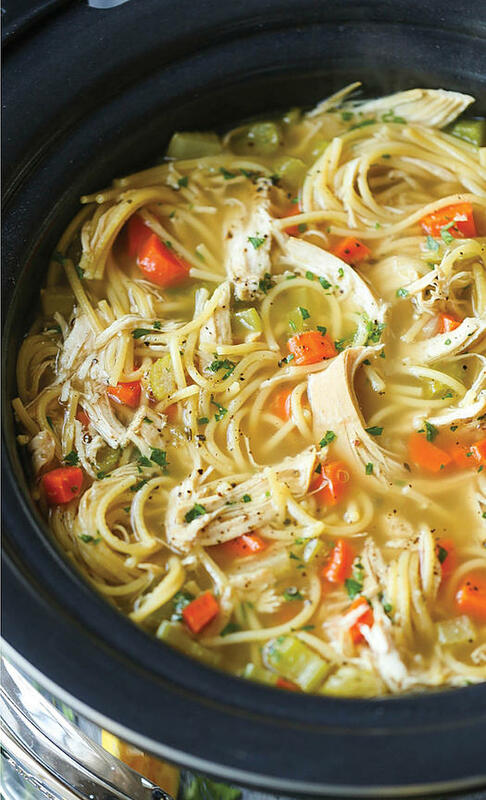 Shred the chicken, then add noodles for a soup that’s just as good as Mom’s. Taking a few shortcuts, like using frozen vegetables and refrigerated biscuits, saves time for this recipe. Cook on high for five hours, then add the biscuits and cook for an additional hour. Eating this will warm you from the inside out and you’ll daydream about it all day long. This recipe is so simple but chock-full of flavor from the tomatoes, chilies, and taco seasoning. Serve in a tortilla, over a salad, or in a lettuce wrap.